Why Should Dr. Kay Perform My Mommy Makeover? A mommy makeover in DC is a customized combination of procedures that specifically targets the problem areas that are most affected during your childbearing years, like your tummy and breasts. Recognized as one of the best plastic surgeons in the Bethesda-Chevy Chase metro area, Dr. Stephen Kay has helped thousands of women from Washington D.C. feel better about their post-pregnancy figure with a mommy makeover. In addition to mommy makeovers, Dr. Kay offers a full range of cosmetic surgery procedures for both women and men. Please contact us online or call our Chevy Chase plastic surgery practice at 301-951-5120 for more information on mommy makeovers. Dr. Kay’s goal is to deliver your mommy makeover with the most natural results and the best patient safety and care. 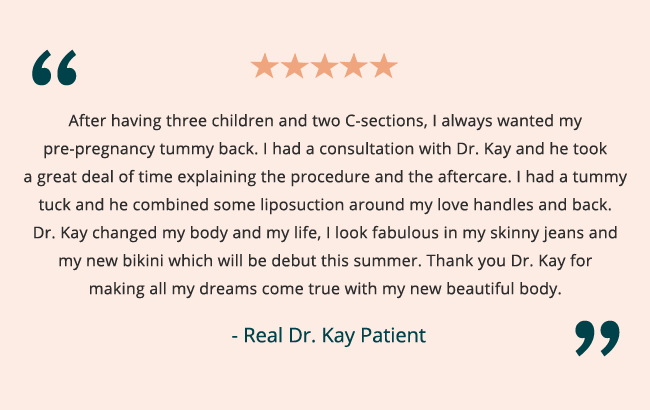 Dr. Kay has a plastic surgery team and center that specializes in speedy recovery to facilitate your return to normal activities after your mommy makeover. The best candidates for mommy makeovers are women who have had children and feel dissatisfied with their post-baby body. Concerns can include breasts that seem deflated or have drastically changed in size, separated tummy muscles or a belly paunch that diet and exercise haven’t been able to resolve. Even the early signs of aging like laugh lines or crow’s feet can be addressed during a mommy makeover if those are concerns for you. Please visit our before and after photo gallery to see the real patient results that are possible after a mommy makeover. The costs associated with a mommy makeover will vary depending on which procedures are performed as part of the treatment plan you discuss with Dr. Kay. Total costs will include Dr. Kay’s surgical fee as well as the fees associated with anesthesia and the surgical facility plus any necessary follow-up appointments. Dr. Kay and his staff are happy to explain all the available options for cosmetic surgery financing that can help make your mommy makeover even more affordable. A mommy makeover is not a single surgery, but actually refers to a collection of different procedures that’s customized to each woman’s unique needs. For one woman, this may mean recovering lost breast volume, while another may feel unhappier about loose skin and stretch marks through her lower belly. 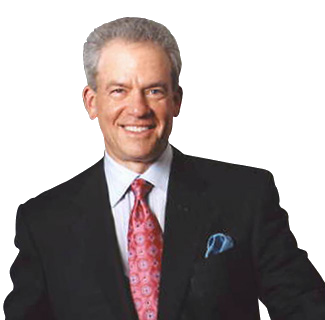 Dr. Kay works closely with every patient to decide the perfect combination that will work for you. A mommy makeover should help you look and feel gorgeous from head to toe, and that means finding the right combination of procedures for you. Dr. Kay will go over all the options with you to develop a customized treatment plan designed specifically to meet your needs, goals and preferences. The surgical approach Dr. Kay follows will vary depending on which procedures are included as part of your mommy makeover. During your consultation, he’ll explain how each procedure complements the others, how some combinations can bring out the best in both surgeries (for example, including a lift with your breast implants) and will show where you can expect your incisions to be placed—most typically, hidden within the natural curves and folds of the body whenever possible to ensure discreet, flattering results. A mommy makeover is typically performed under general anesthesia, although Dr. Kay will discuss anesthesia options with you during your consultation. Most women can plan on returning to work and daily activities between 10 days and 2 weeks, although everyone has a different recovery timeline depending on which surgeries were included and your body’s particular healing response. Dr. Kay’s ability to combine technical, artistic and surgical experience can help give you beautifully feminine curves that you can enjoy long-term. Although the results of your surgery are permanent, your body can still change in shape and silhouette due to weight fluctuation and the natural aging process. Additionally, while there’s no medical reason why you can’t enjoy a perfectly healthy pregnancy after your mommy makeover, the best results are seen in those women who have already completed their families, as future pregnancies can compromise your newly refined figure. You can learn more about a mommy makeover procedure here or by visiting Dr. Kay on RealSelf. 1 Why Should Dr. Kay Perform My Mommy Makeover? 1.1 Is a Mommy Makeover Right for You?